Finding JOY in the kitchen, through easy, wholesome, made-from-scratch foods! 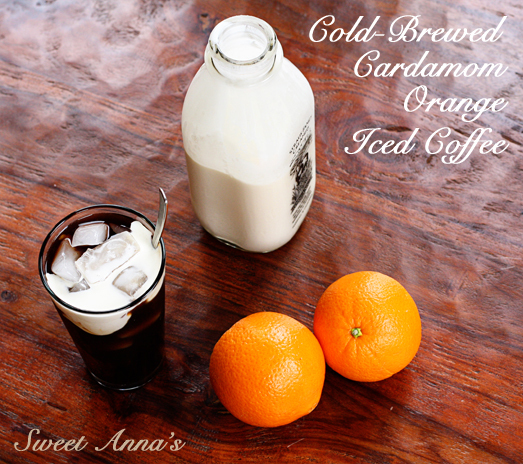 Cardamom-Orange Iced Coffee, cold-brewed for a delicious, special yet simple treat. Serve this with a simple syrup and a splash of cream for a decadent treat in seconds. You deserve it! You know how sometimes you just really need a special treat in your life? Preferably caffeinated and maybe even sweet?? You can really infuse this coffee, with any flavors you’d like. Or, of course, leave it plain. But plain is boring, and I like to change this up with flavors each time I make it! Cinnamon is great. Cinnamon with a bit of cocoa powder and cayenne is even better. But cardamom & orange is my favorite. So fresh, flavorful and vibrant. And different. I like different. I could drink this every day. Personally, I get plenty of sugar in my life in other ways, like – you know – cookies, so I enjoy this best unsweetened with a splash of heavy cream. But, mix it up however you like best. It’s your treat! Comine all the ingredients in a large tupperware container. Stir well, cover and let sit at room temperature for about 24 hours. Strain the mixture through a fine-mesh strainer, and then again through the fine-mesh strainer that has been lined with cheesecloth or paper towels. Pour into a pitcher and keep in the fridge for up to a week, if it lasts that long! 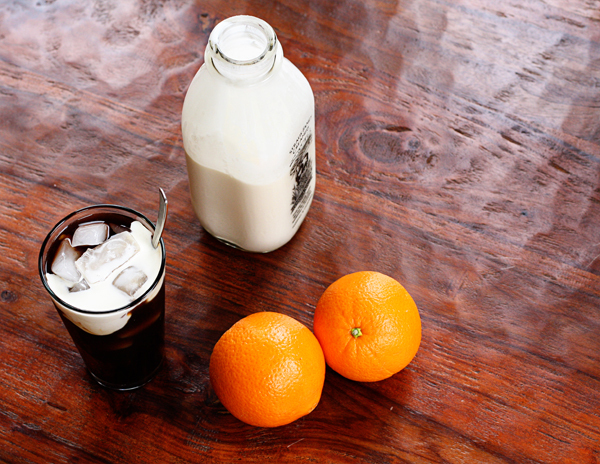 Serve cold, over ice, with a simple syrup or agave, if you like sweet, and a bit of cream or milk. Yum!